Congratulations on your engagement! Now what do you do? Do you feel overwhelmed and don’t know where to begin? Hopefully, this blog will help you! Pick out your wedding party – this will end all speculations of who “made the cut” and who can help you during this time! Hire a planner, if desired — planners can help you coordinate meetings and may even know a thing or two around the area you are choosing to marry in. Start your research of florists, caterers, music/bands and photographers – start collecting their information and keep it in your binder! This blog will be one of several to assist brides with their wedding timelines. Once a budget has and number of guest expected to attend has been decided, next big step is finding the wedding venue. Gala Event Facility is nestled in a beautiful location that not only offers all inclusive, budget friendly wedding/event packages as well as a la carte options. 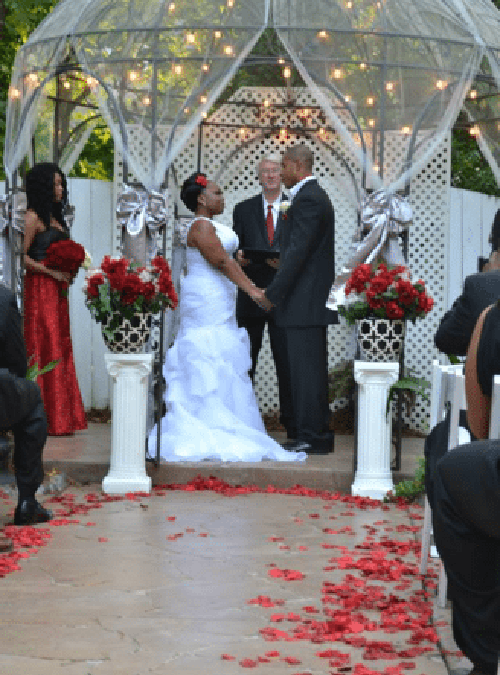 Our wedding venue, located in Marietta, Ga, also has an on-site wedding coordinator who is experienced and can help your wedding day flow effortlessly from choosing your colors and/or decorations to vendor choices and coordination of the actual ceremony! Keep watching for our next blog on what to do eight months prior to the wedding!